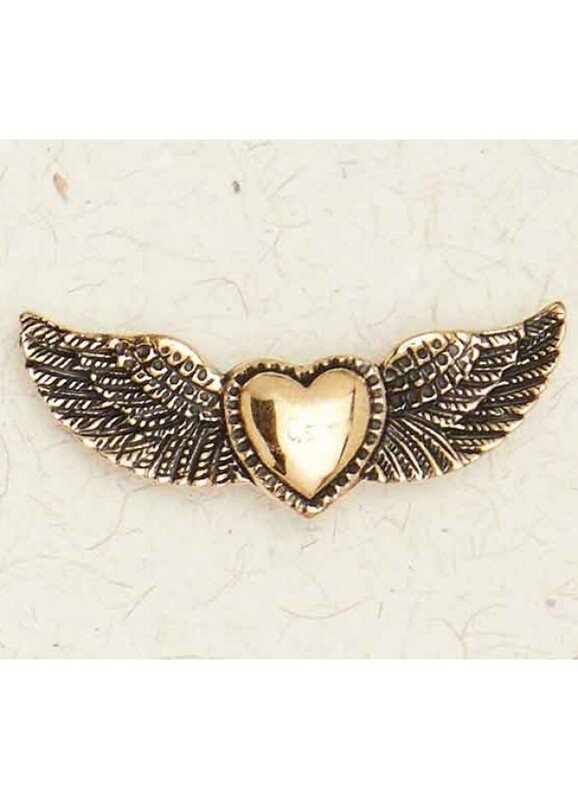 The joy of love represented in this gorgeous Winged Heart necklace made of solid bronze. This Gothic necklace is cast in the US of nickel-free bronze. It measures 2 inches wide and comes complete on an adjustable 33 inch black neck cord. It comes packaged on a story card with description. Item Number: NV-BZP-575 | Approximate Size (Inches): 2.00 wide x 0.10 deep x 0.50 high | Approximate Shipping Weight: 0.25 lbs. Alchemy Gothic stud earrings for pierced ears, cast and hand-made in f..